Many agricultural contractors hail from generations of the family that have been involved in the same line of work down through the years. 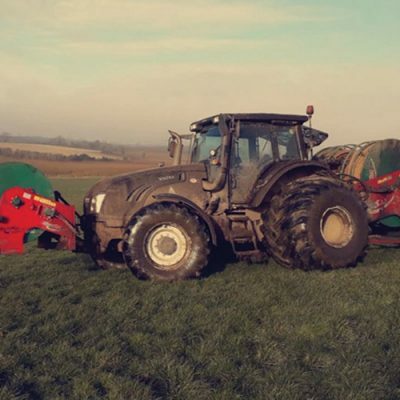 Agricultural contracting has certainly evolved over the decades and the state of the art machinery used these days allows contractors to get through much more work than they could in time gone by. 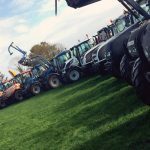 This year has been a stop start year for agricultural contractors as heavy snow in the spring was followed by a blistering heatwave that many of us enjoyed, but what turned into a nightmare for farmers. With no growth there was no feed for their stock, so they had to rely on the winter feed to ensure their animals were looked after. 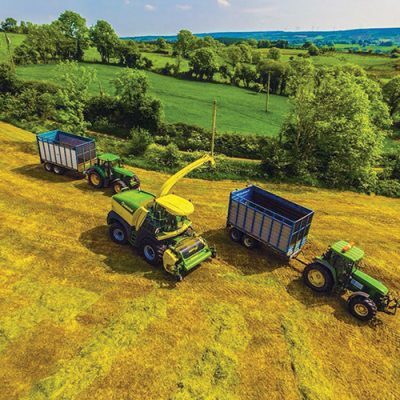 Most contractors found themselves a bit behind their regular schedules as the second cut of silage was weeks behind where it normally would be. This all combined to make it testing times for both the farmer and the contractor, but for one man in this line of work, he took it all in his stride. 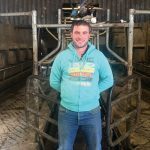 Gary McDonagh owns and operates McDonagh Agricultural Contractors which provides a wide range of services to the farming community. 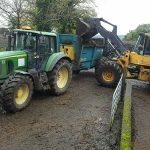 For the past 13 years, the McDonagh family have provided their services to a large customer base that is located within a 30-mile radius of their homestead in Carnaross, Co Meath. 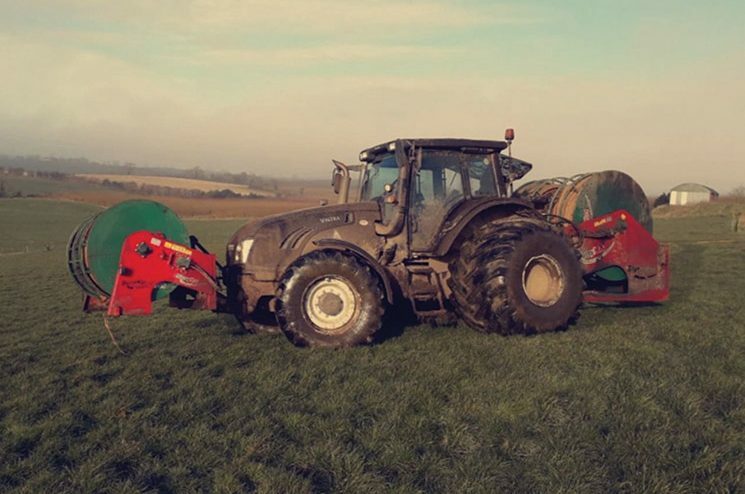 McDonagh Agricultural Contractors do it all when it comes to farm services including baling, wrapping, ploughing, sowing, digger and dump trailer work, etc, etc. “You are at the mercy of the weather from year to year, but this year was a bit different. We found ourselves a bit behind on the silage front, but we eventually caught up. There wasn’t a lot we could do about it, so it was just a case of getting on with it,” said Gary. 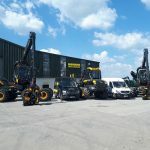 To carry out all their duties, the McDonagh family have an extensive range of machinery including six Valmet tractors, John Deeres, two Claas self-propelled harvesters, JCB loader, McHale and Claas balers, Redrock and Herron trailers and much more. “The machinery and tractors would be upgraded on a regular basis. I would deal with the likes of Meath Farm Machinery, Clarke Machinery Kells and Leinster Farm Machinery. In the last few years, there would have been four new tractors added to the fleet. Gary added that many of the customers on their books have been with them for a number of years now and the aim is always to keep them happy. “We would do work for a lot of big dairy farmers in the area. They seem happy with the work that we do and once that continues, then we will be happy also. 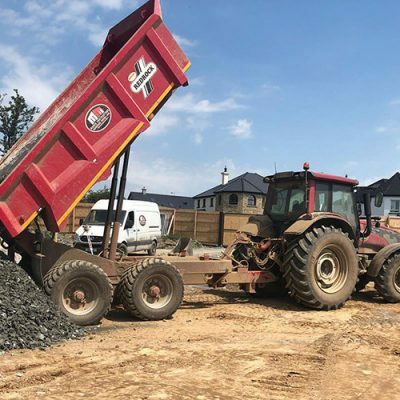 The McDonagh family run their own farm of land, so they know the needs of their customers better than most, while the family also own and run CMD Environmental which provides services in percolation, rainwater harvesting, aquamax waste water treatment, maintenance and servicing. “CMD is run by my father Ciaran and my mother Shelia and brother Stephen are also involved in the day to day running of the business. My wife Tracey looks after the administration for the two businesses. CMD specialise in installing and maintaining effluent and septic tanks as well as other services. This company was established in 2005 and is based in the Kells Business Park, Kells, Co Meath.